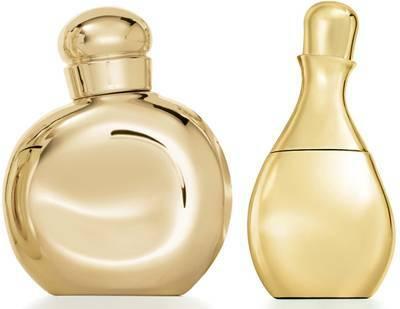 Elizabeth Arden has introduced two new fragrances from the House of Halston, Halston Woman Amber and Halston Man Amber, following the successful launch of Halston Woman and Halston Man in 2010. Created in honor of Halston himself, the fragrances are a reflection of the ideals and aesthetics by which he lived. To create Halston Woman Amber and Halston Man Amber, Elizabeth Arden consulted with Carlos Benaim, Vice President of Perfumery at International Flavors and Fragrances. Early in his career, Mr. Benaim trained with the renowned perfumer, Bernard Chant, creator of the original Halston fragrance and in subsequent years, Mr. Benaim collaborated with Halston himself to create the limited edition fragrance Halston 101. Mr. Benaim also created the Halston Man and Halston Woman fragrances. "I created Halston Woman Amber and Halston Man Amber after the way in which I view the persona of Halston, truly a legendary figure in the world of fashion," said Benaim. "The fragrances had to be an expression of his unique artistry and point of view." Working with highly sophisticated and precious ingredients, Benaim chose Amber as the foundation upon which to design two distinctive fragrances. "I wanted the fragrances to make a statement and convey a sense of pure luxury, confidence and power. Amber, as an olfactive signature, has all those qualities. Benaim required an amber that was bold, sophisticated, and uncompromising. He used themost exclusive materials available to create a pure and precious Amber accord. Both Halston Woman Amber and Halston Man Amber are fragrances born from one Amber accord, but that accord reveals very different facets in its feminine and masculine expressions. Asophisticated Oriental fragrance, Halston Woman Amber is a hypnotic blend of the most precious Ambers,Woods and Resins, wrapped in a weightless veil of Wild Tuberose. It is a scent of deep sensuality, character and contrasts. Top Note - Luminous Femininity: The fragrance opens with golden sparkles of Italian Mandarin combined with accents of Redcurrants and Crystalline Aldehydes, allowing the fragrance to glow with grace and fluidity. Heart - Hypnotic Luxury: The heart of the fragrance is a sophisticated elixir of Pure Amber wrapped in sumptuous Rose Petals and a weightless veil of Wild Tuberose creating an opulent and intoxicating trail. Dry Down - Seductive Aura: An irresistible combination of captivating Olibanum, voluptuous Sandalwood and White Suede is softened by feminine Musks. Halston Man Amber is a contemporary Woody Oriental creation of ultimate masculinity, extreme refinement and uncompromising character that provides a luxurious aura of irresistible seduction. Top Note - Crisp Masculinity: The fragrance opens with brush strokes of Geranium Leaves and radiant Provence Thyme, highlighted with bursts of energising Bergamot. Heart - Bold Seduction: The bold heart of Pure Amber combined with seductive vapors of Myrrh and Labdanum exudes masculine confidence. Dry Down - Magnetic Elegance: The dry down reveals an intense background of Oud Wood blended with the vibrancy and complexity of Cedar Atlas and luxurious Musks. Bold, sensual and pure in line, the original Halston bottle designs set the standard for elegance and sensuality in fragrance packaging. The sophisticated, ergonomic shapes were sculpted for Halston in 1975 by Elsa Peretti, the world-renowned fine jewelry designer. For the new brands, the Elsa Peretti designed bottles are coated in a luminous finish that reflects the warmth and purity of Amber. The Halston Woman Amber cartons are coated in the same luminous gold finish as the bottles, and the eau de Parfum is exquisitely presented in a deluxe set box. For Halston Man Amber, the elegant black carton gives the brand an air of ultimate luxury. Halston Woman Amber and Halston Man Amber will be available at exclusively at select David Jones stores.